How do I use Catalog as a subcatalog admin? 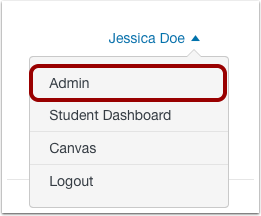 If your institution allows you to manage a catalog or subcatalog, you can view the catalog or subcatalog from the Catalog admin menu as a subcatalog admin. Although your admin access may be limited to a specific catalog or subcatalog, Catalog functionality is the same as given to full Catalog admins. Catalog defaults to the catalog or subcatalog you have access to manage  and displays all listings for the catalog or subcatalog . Your catalog may also include additional subcatalogs, which you can view in the catalog menu. To view a subcatalog, click the name of the subcatalog. Previous Topic:How do I export catalog analytics? Table of Contents > Subcatalog Admins - Catalog > How do I use Catalog as a subcatalog admin?